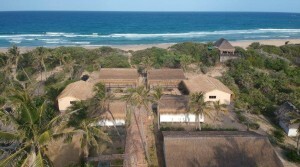 The small fishing village of Tofo is located on the eastern shores of the Inhambane Peninsula between the open Indian Ocean and a small inland reed – lake system. The “island style” atmosphere of the village is remarkably colourful, with a great mixture of a local market, local arts and positive latin vibes. The crystal clear waters with the beautiful white sand beaches are ideal for holiday makers, backpackers, scuba divers, surfers, and relaxation seekers. Tofo Beach has a good variety of bars, restaurants and accommodation options, which will suit travelers who seek comfort and a bit of luxury. Nature lovers who prefer self catering facilities and a nice wooden chalet with stunning views also will find affordable accommodation options. 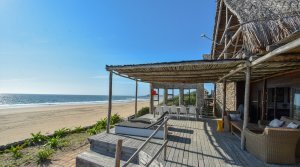 Estrella do Mar is a spacious 4 bedroom beach house situated just north of Tofo, upon a primary sand dune on the beach. 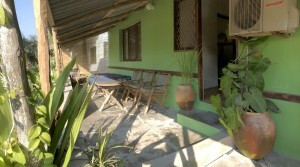 The property can accommodate up to 10 people comfortably, making it perfect for 2 families to share. The rates for the house are structured according to the number of people staying there, so it can be rented at an affordable rate for 2, 4, 6 or groups of 8. The house is therefore ideal for couples, families, or groups of friends looking for a great beach house. The extensive deck area overlooking the ocean is ideal for lazing in the sun, having a barbeque, or taking a dip in the swimming pool. 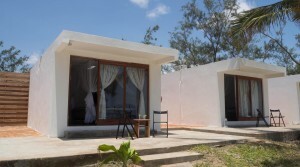 Boutique Japanese style rooms in the heart of Tofo, Mozambique. 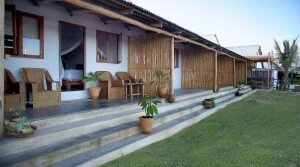 Sat upon the dune overlooking Tofo Bay and the Indian Ocean is Tilak Lodge, a beautiful African retreat. Situated 600m down from Tofo Scuba Dive Center and approximately 1km from Tofo Market centre, it is an easy stroll into town for all the bars and restaurants, but just far enough from the noise. Corasiida is the Portuguese name for a beautiful species of bird found in Mozambique, known in English as the ‘lilac breasted roller’. 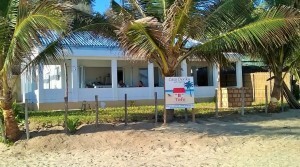 This name has been aptly adopted for a beautiful guesthouse on Tofo beach, Corasiida Guesthouse. 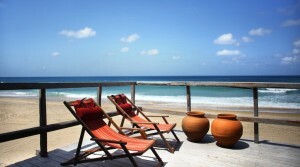 Casa Amendoa is a stunning 4 bedroomed guesthouse located on Tofo’s main beach. 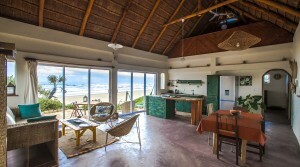 The house is so perfectly located as it is on the beach, a stones throw from the vibrant Tofo market and the Tofo village but at the same time is tucked away to offer the privacy one hopes for on a beach holiday. 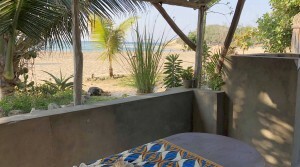 Blu Tofo is situated in an ideal beachfront location next door to one of the main dive centers in Tofo, Tofo Scuba. 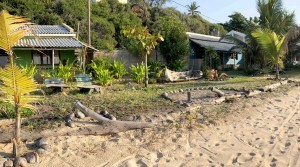 They are located about a 15 minute walk along the beach or main road from central Tofo. Wake up to the sunrise on your doorstep in this brand new house in the tropical oasis of Praia do Tofo. With an outdoor shower nestled among lush gardens, Pura Vida offers million star facilities and an experience like no other. 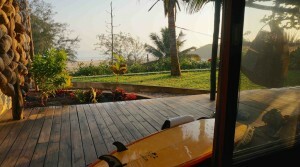 Casa Derika is a very central and quaint beachfront house in Tofo. 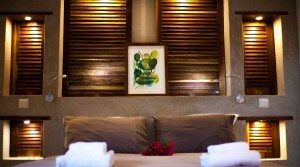 It is only a few hundred meters and a 2 minute walk to the central market and various restaurants.